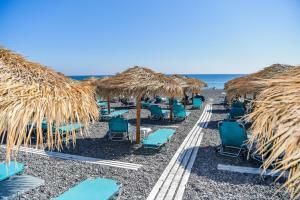 The Nostos is located just 10 meters from the beach of Kamari and offers air-conditioned accommodation, some of them with sea views. 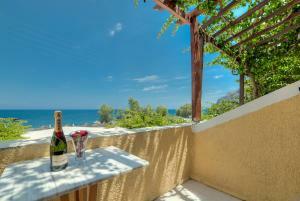 It is within walking distance of many traditional bars, cafés and taverns by the sea. 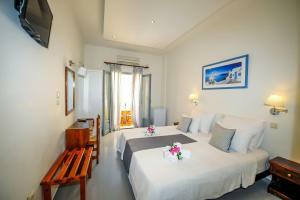 This room is decorated in a traditional style and is located just 10 meters from Kamari Beach. Guests have air conditioning and a TV. This room has a Cycladic style and features air conditioning, a flat-screen TV and a modern bathroom with a built-in shower. 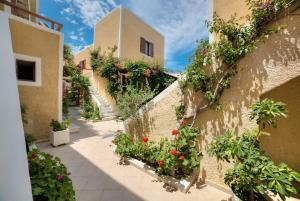 Room with 1 double bed or 2 individual, air conditioning and patio.